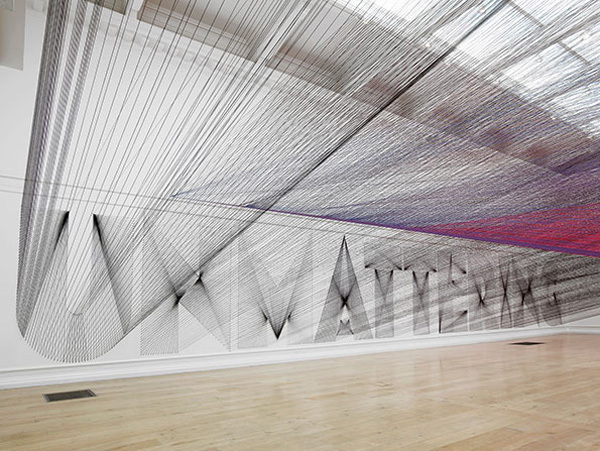 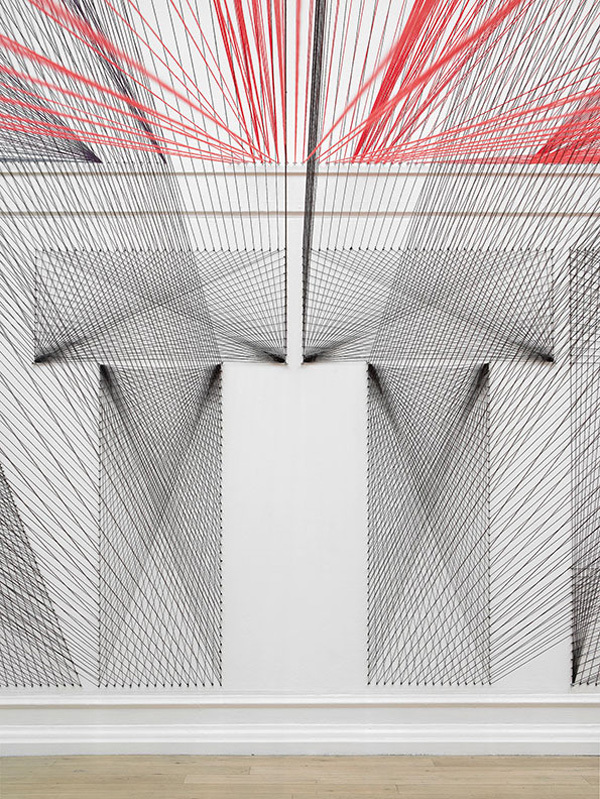 A thread installation that spells out words on the walls at South London Gallery. 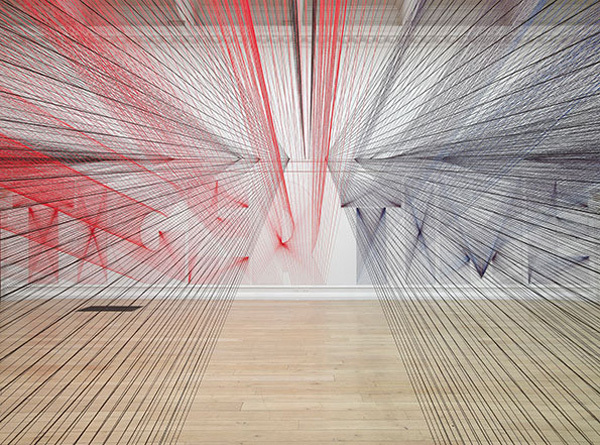 Los Angeles-based artist Pae White merges art, design, craft and architecture through site specific installations and individual works which defy our expectations of a variety of techniques and media. 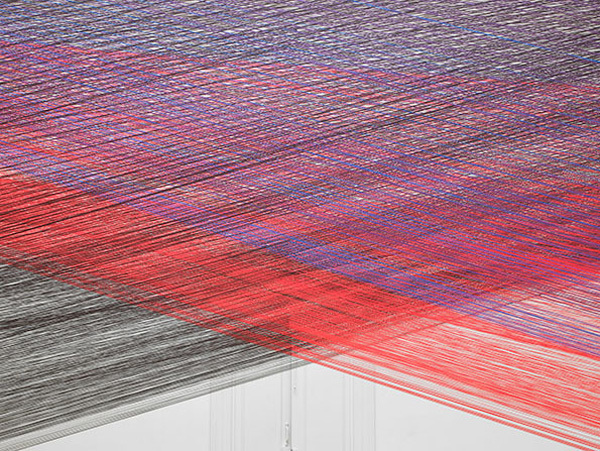 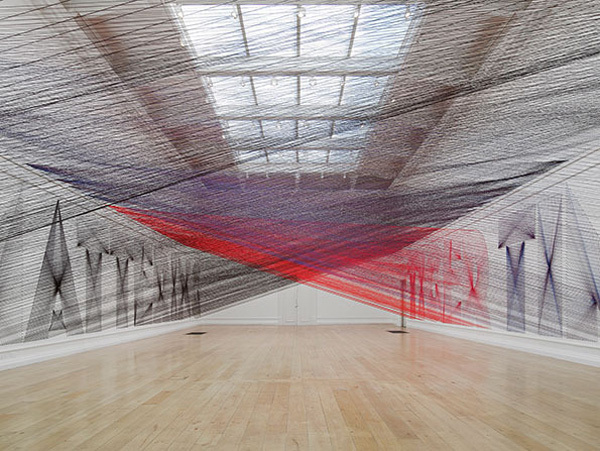 For her South London Gallery exhibition she creates a mesmerising installation in which vast quantities of coloured yarn span and criss-cross the room to create supergraphics spelling out words that can only be deciphered by navigating the space. 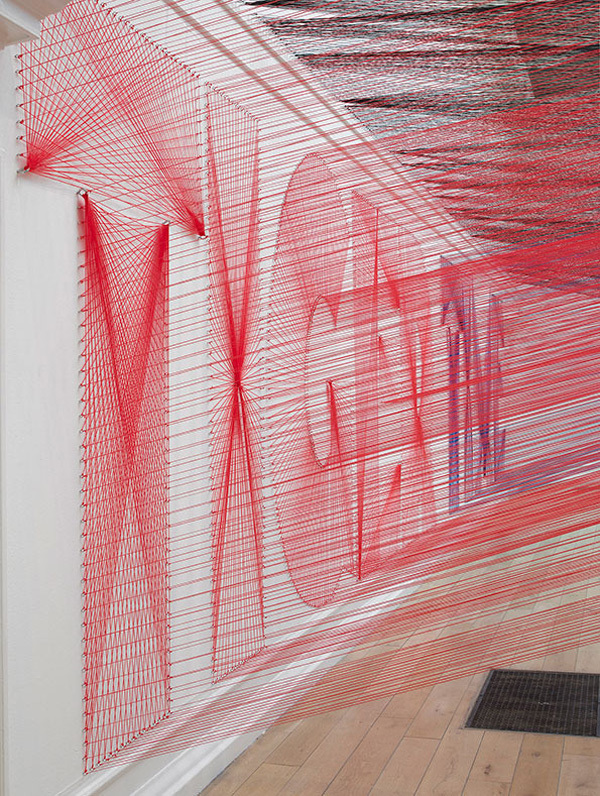 Inspired by a period of insomnia and consequent reflection on the transience of our existence, the letters and words emerge and dissolve depending on both our physical relationship to them and the relative weight of the overall aesthetic experience.